I mentioned the other day the forthcoming Suter MotoGP bike being developed in conjunction with Moto Paton. Back in the sixties, Paton actually had some high placed results on the international race circuit with 250, 350 & 500cc machines. 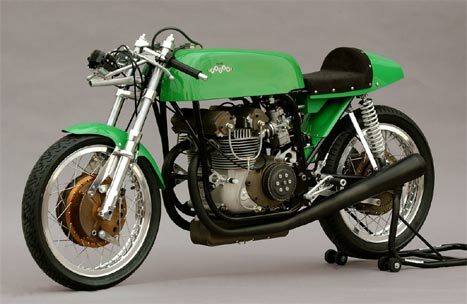 Nowadays, among other projects, Paton is offering new and updated version of their classic 500cc racer. For more background info on their history and specs of the BIC 500, check out Moto Paton, USA. Voxan's Future: FIL Holding or SODEMO Eng. Motorbike 2050 Ver. 2 Runs on Nuclear Fusion!